Madrid-home race number 2. With a short drive from Vitoria, nothing could be more close to my new home for the next 4 months. When I first arrived I was unsure if we were there for a triathlon or to join the thousands of football fans settled down towards race site ( lucky for our very sound proof windows and their time losing!) With a total change to Dunkerque, Madrid provided us with a non wetsuit fresh water swim, a hilly and technical bike course and a flat run. 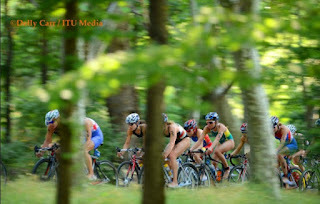 Having such a Spanish time of racing, I had the chance in the morning to run, swim and sleep before the race. I had to really optimise the chance throughout the day to eat at right times, rest in the afternoon and still have efficient time to get ready for the race. Waking up with a slight cold and sore throat, all I could think was it picked the worse time to come. Spending a week in Gray, east of France, to nothing more than 7 degrees and rain, I had the opportunity to meet my French team.The week leading up to Dunkerque after long travel from Florida, it was time to adjust to the time zone or my way was wake up at 9.30 everyday and wondering where my day had gone. French was a whole new language that was very hard to catch on to with me half the time speaking my little knowledge of Spanish. I got some solid training in with the pool being minutes away, the roads being quiet for rides and finding trails in the fields just behind my French teams house. We drove to Dunkerque on Saturday, a long 6 hour drive, where the sun was out and I was ready to race. After 2 weeks of training for the conditions that Huatulco was going to present us with, we went to Huatulco , only 6 months after our last visit. Not much had changed, it still felt like we were on a holiday looking over the crystal clear ocean. Taking the few days before relatively easy, I really wanted to smash it up! I felt like I was ready with training in the heat feeling good and strong.